House decorating … cookie baking … gift shopping. It’s also a busy time. And, let’s face it, sometimes even stressful. You’re pulled in many directions. Cards and catalogs fill your mailbox to the brim. You’re looking for that “perfect gift” for each person on your list. It’s not often you can say the gift you give will change someone’s life. But when you give a gift from our Gift Catalog this year, that’s exactly what you’ll do. The gifts inside provide health, healing and hope for people in crisis. Inside, there are six different ways to save and heal lives. Just a few minutes of your time during this busy season can make a difference that will last a lifetime. What makes our Gift Catalog unique? I know it might sound like hyperbole. But it’s true. Your gift will heal people and save lives. I’d like to tell you about one person who is being healed by the gifts of people like you. I got to meet Hellena when I recently traveled to Uganda. 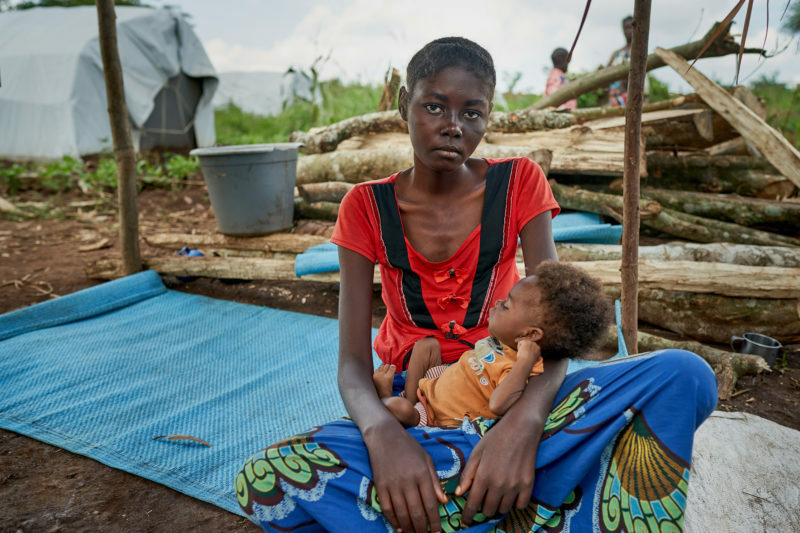 Hellena and her baby, Christive, are refugees from the Congo. A few months ago, they fled to Uganda. Hellena (23) and Christive (6 mos.) suffer from malnutrition and tuberculosis. Your gift will make sure they have supplemental nutrition and medical care. Hellena and Christive are severely malnourished. It’s hard to believe when you look at her, but Christive is six months old. Not only are they malnourished, but they are sick with tuberculosis. My heart broke as I listened to the coughs racking their bodies and Christive’s strained cry. In that moment, I realized just how powerful the gifts of generous people like you are. Because of your compassion, there is hope for Hellena and Christive. Right now, our staff are working to heal Hellena and Christive from their life-threatening illness. Our staff are also making sure they receive supplemental nutrition on a weekly basis. But the road to recovery is going to be long. Your support will keep lifelines like this going for mothers and babies like Hellena and Christive. In our catalog, you’ll see it only takes only $50 to heal a mother and child like Hellena and Christive. Our staff on the frontlines are not only saving lives. They are working to spread health messages far and wide so communities are healthy for years to come. A lack of knowledge is the reason many people die from preventable diseases. In the places we work, many people don’t know how to prevent disease, what symptoms to look for, or where to go for care. We try to reach every household in the communities we serve with health messages. We do this by training volunteers from the community. In Bangladesh, refugee volunteers are going door to door to help their neighbors. They are teaching people about how hand washing prevents disease. They are explaining to mothers the symptoms of respiratory infections. They’re telling families where the nearest clinic is, so they can get to care quickly. 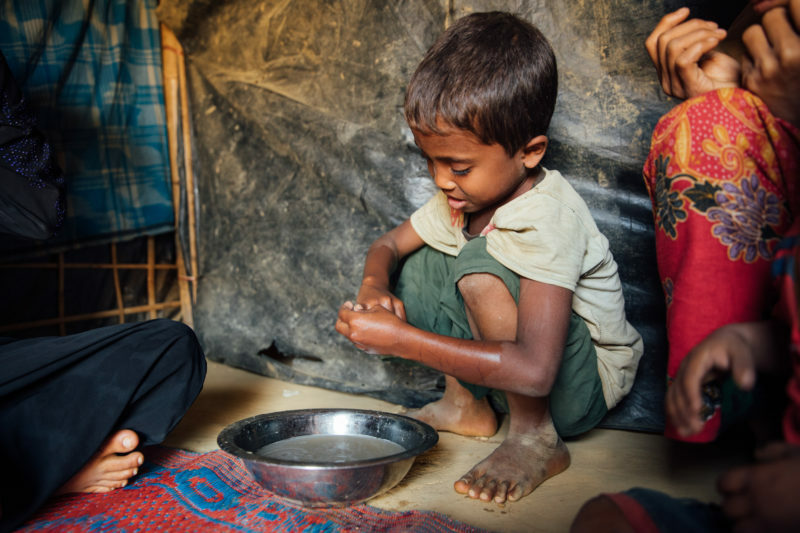 A young Rohingya boy learns how to wash his hands from a refugee community health volunteer. 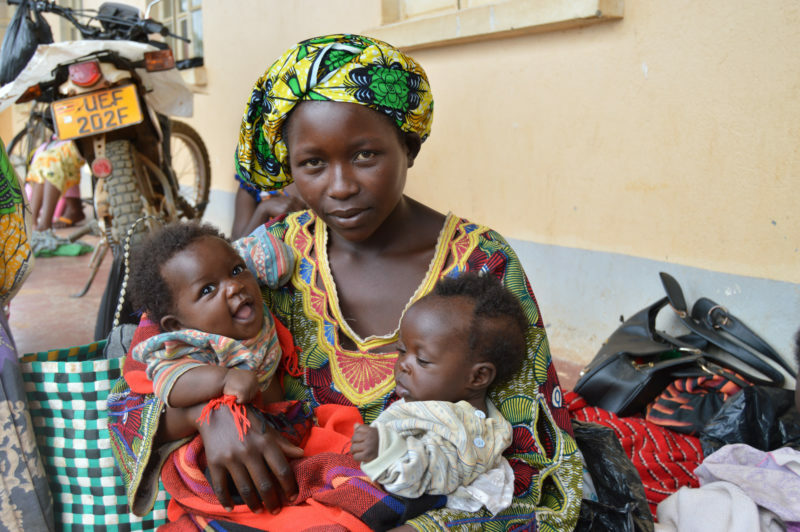 Just imagine the impact a little health knowledge can have for a mother who has a sick baby. Before, she may have felt hopeless and helpless. She may have listened to the ragged breathing of her baby but not known what to do. Now, she feels empowered and relieved. She knows when symptoms become serious. She knows when to take her child to a doctor and where the nearest clinic is located. The gift of peace you can give to a mother is priceless. Not only can you help that mother today, but you can impact generations to come. Knowledge that is passed from parent to child and from neighbor to neighbor multiplies in impact and saves countless lives. When you give a gift through this year’s Gift Catalog, you will help heal twice as many people. A generous donor is matching dollar-for-dollar every gift up to $50,000 through the end of the year. It is a tremendous blessing to have the opportunity to care for so many more people in crisis. Because each of those people has a story. Each of those people has dignity and value. Every one of them matters. And every gift you give matters. The gifts you give will change lives. You’ll bring joy, hope and peace to people in crisis. You will cover refugees, mothers and babies, and people who feel forgotten with love. Thank you for sharing your love with people around the world this holiday season. Give a meaningful gift that brings healing to people in crisis through our Gift Catalog.